A PenAir flight with 35 people aboard lost power in one of two engines after leaving King Salmon on Thursday afternoon but turned around and landed safely. The flight from Anchorage was headed for Dutch Harbor/Unalaska and stopped in King Salmon for fuel before taking off again. 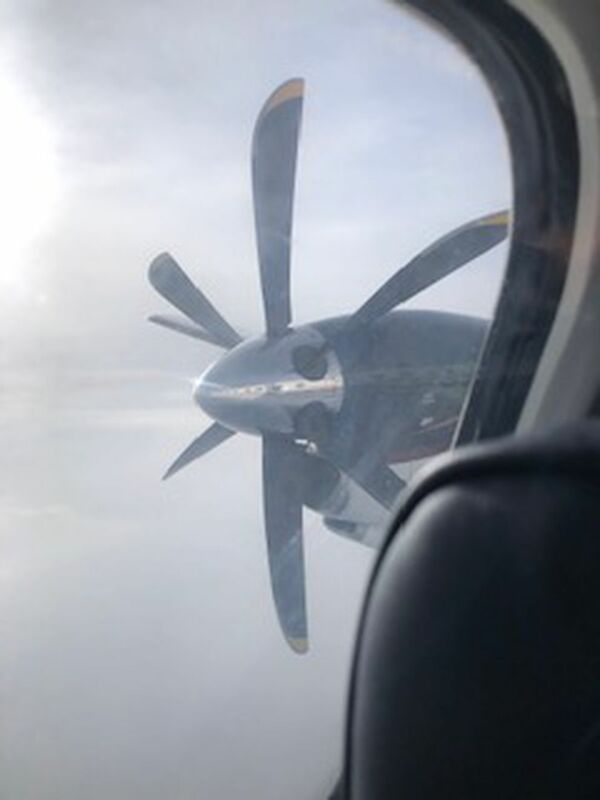 The Saab 2000 experienced engine trouble so pilots “shut it down," according to Allen Kenitzer, a spokesman for the Federal Aviation Administration. The flight landed without incident, a spokeswoman for Ravn Air Group said. Ravn operates PenAir after purchasing its assets in December. A mechanic flew to King Salmon to work on the grounded plane while another aircraft was dispatched to King Salmon to fly the 32 passengers and three crew back to Anchorage where they were provided with accommodations, according to a Ravn statement. Passenger Mike McDonald felt what he called a “little soft jolt” as the right-side engine cut out about an hour after leaving King Salmon. McDonald was headed to work as an electric administrator for Westward Seafood. He described many of his fellow passengers as workers traveling from the Lower 48 to seafood industry jobs. A flight attendant came over the intercom and told them what was happening, McDonald said. Everyone stayed calm as the plane made what he called “a gentle 180” and made for King Salmon. McDonald, from his seat toward the front of the plane, could see the now-motionless propeller from his window, he said. “When you’ve got an hour to sit there and think about this stuff, if you let your imagination run away with itself it kinda bugs you." McDonald planned to board a flight back to Dutch Harbor on Friday afternoon.